Engineer Elias Mudzuri vice president of the MDC Alliance faces political death threat for doing his work. Is MDC ALliance playing politics or playing with politics in disrupting parliament and sanctioning senators for adhering to their comstitutional mandate. • Oversight of State revenues and expenditure, making sure that all revenue is accounted for and expenditure is properly incurred and limits are observed. If the government of the day abuses funds or mismanages funds the blame lies squarely on the members of parliament. They are the image of democracy and have powers to reject or accept any government budget it is within their powers to raise an alarm if the government goes wild. The lives of Zimbabweans is in the hands of their members of parliament. Parliament has Powers to impeach the President Stop deployment of armed forces outside the country if two-thirds majority of MPs and Senators agree. Perception of MP role by voters. That is to say they had something to do with the 1st of August deployment of the army. Now the crop of the MPs we now have is confused and they do not know their duties. On the same hand those who voted them have incorrectly believed or perceived that they are constituency development leaders. this is partly because of the electoral system which has traditionally been based on constituencies. "An MP in the National Assembly has a defined physical constituency and population which he or she represents. It is the MP's source of political authority and influence and in turn it has expectations from its representative. In addition, when candidates campaign to become MPs, they tend to make grand developmental promises to constituents based on specific problems and aspirations in the constituency. The result is that for most people, the core mandate of the MP is development of the constituency. People have real problems: poor schools, food shortages, poor roads, poor medical services, etc and they look to their local representative to solve these problems. Unfortunately this is not the work of the MP. However, the reality is that the MP has no capacity to solve these problems and it is not even their responsibility within the framework of government. One could lobby government to prioritise their area or seek donors to offer help but otherwise they have no fund to attend to these challenges. The authorities that are responsible are central government and the local authority. Both have the powers to collect taxes and therefore have public funds which they can use to fix these challenges. An MP is not legally empowered to raise or collect taxes. The promises that MPs make during election campaigns are beyond their capability which is why most are never delivered. After making such promises they compensate their failure by making noise and disrupt parliament. Ideally, according to the Zimbabwean Constitution "The role of Parliament states Parliament must promote democratic governance and ensure that the provisions of the constitution are upheld and all institutions and agencies of government at every level act constitutionally and in national interest. What opposition MPs and all MPs for that matter should understand is that, by being paid by the tax payer, they are actually civil servants in another sense.Their behaviour must be controlled checked and it must attract punitive measures. Zimbabwe is having a problem where Opposition MPs come to parliament prepared to disrupt sing dance in the name of democracy. The unruly behaviour they exhibit is disheartening and literally mocks those who voted for them. It is not true that the opposition says they are not in government. They have no choice but to work with the government of the day. It is also important to note that even the voter in any constituency, who did not vote for that particular MP, is still being represented by the candidate that won in that constituency. For any political party that has MPs in Parliament to dissociate itself from the government of the day is regarded as being the height of irresponsibility. Every MP swears to uphold the dignity of Parliament and the Constitution and is paid by the state, there is no way that MP can turn around and refuse to serve the State, represented by the Government. It is another thing to refuse a ministerial post if one is offered but another thing to say that one will not be associated with the Government in any form of activity. 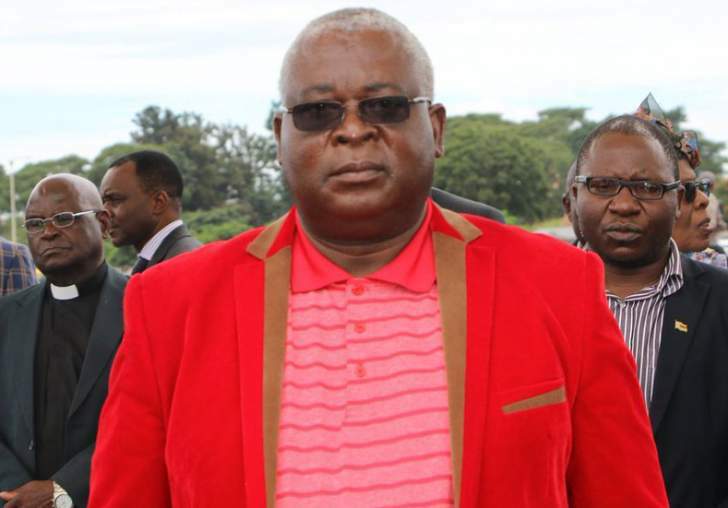 This falls flat in the face of the MDC Alliance as they torment Senetor Mudzuri for executing his senatorial duties. The disturbances caused by opposition MPs which led them to be peacefully ejected from parliament was unfortunate. It is the greatest betrayal of the voters bu the MP's they have elected. It shows that MP's are neglecting their duties and engage in the anti social behaviours inside parliament. It is true that most of the opposition parliamentarians were students activists in their university days. They have not abandoned their childish hooliganism sadly they bring it right in parliament. MP's can not say that they do not recognise ED's presidency when the Constitutional court ruled otherwise. The actions of the MPs was rogue and thuggish. They should and must work with ED and the government for the sake of the nation. The problems the country currently faces finds their origins in the actions of the opposition MP's in parliament. There is nowhere an MP will not work with government For example, there shall be Government programmes in every constituency, therefore, the MPs should work with Government structures to uplift the standards of living of the people. This may be in form of building schools, boreholes, bridges, or distribution of food and inputs for agriculture. It will be the responsibility of every MP to make sure that the people in that constituency are well represented and that the programmes initiated by Government are well understood by the people. Now if the MP goes to Parliament to sing who will police the government. So, how can an MP boycott parliament or Government programmes? The MP is a representative of the State not the party that they belong. As long as an MP takes the oath of allegiance to Zimbabwe, he or she has to work with Government in office. Why did the opposition take oath if they did not want to serve the nation. The grand standing by these MPs is counterproductive. The MPs may be different from career civil servants even though they are all paid by the state. The main difference is that MPs are politicians and may criticise the Government of the day in Parliament, according to the rules set out by them. They do that constructively for the benefit of the country. Parliament must come up with stringent rules that will not tolerate any MP to disrupt parliamentary proceedings and boycott proceedings of the state, like the opening of Parliament by the President or any other occasion where the president attends parliament. Being an MP comes with responsibilities and respect. The people change their mood towards MP. He becomes an icon. It becomes a disgrace to see MPS refusing to bow or stand for the highest office on land. It was disrespect and should be punishable. If an MP misbehaves he or she is doing it on behalf of his her constituency. The voters who elected them deserve to be represented in Parliament not in mischief. The issue of the MDC Alliance MP's refusing to stand up for the president was a very bad attention seeking stance which was unfortunate and childish. It is tradition in many cultures for people to stand out of respect when a person of importance enters a room. The actions of the MDC were despicable. Unless new measures are to be put in place parliament will not function. Zimbabwe is bleeding and MPs engage in child play. In future one should not waste time. Just stay out of parliamentary race instead of campaigning and boycott. Thats not how statements are made. This parliamentary clowning by these MPs must stop.